Whats cookin’ in your cauldron this fall? Our grills are covered and the last of our summer garden goodies have been eaten. Now is the time to turn on our ovens and fire up our stoves for hearty meals that warm our bones. 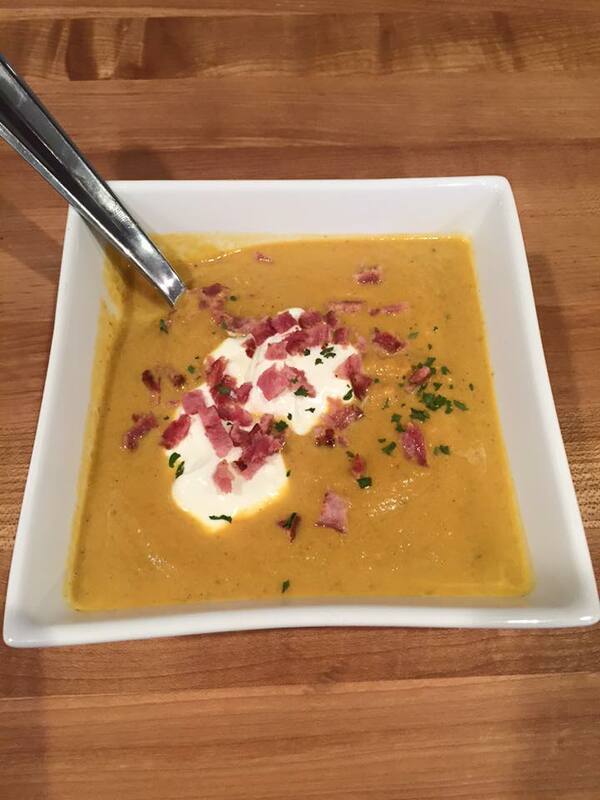 At Coldwell Banker we are filling up our fall cauldron with this amazing pumpkin soup recipe. We hope you enjoy it! In a large pot, combine the first 8 ingredients and bring to a boil. Return soup to pot and bring to a boil. Reduce heat to low and simmer for another 30 minutes, uncovered. Remove from heat and stir in heavy cream. Pour into serving bowls. If desired, top with chopped cooked bacon and/or sour cream (or greek yogurt).